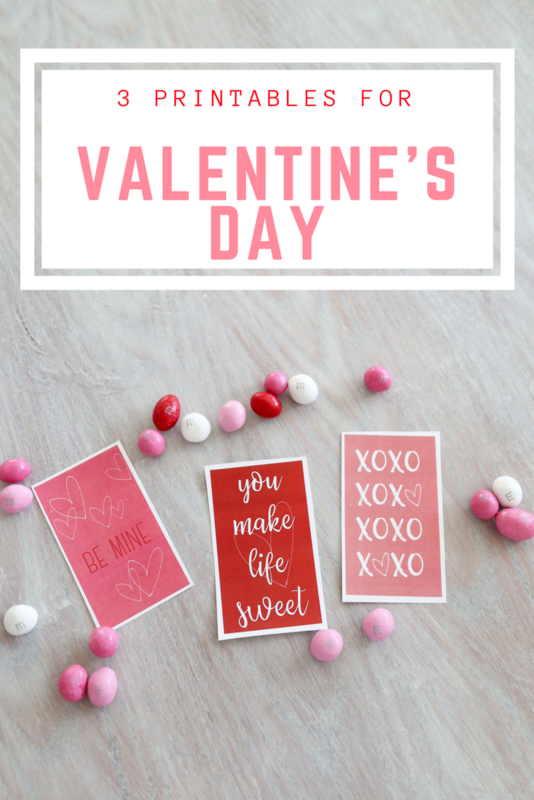 Grab Your Valentines Day Printable – Perfect for Friends! Valentine’s Day is coming up & I’m shocked to say I’m feeling ready! Normally I’m buying the kids classroom candies to pass out the night before & searching high and low for any heart shaped sugar cookies. Luckily, it’s usually ended up working out for me, but I will say it’s been nice to have the kids stuff already picked out. We were getting our oil changed at Wal Mart and the Valentine’s Day candy was recently put out so there was a ton to choose from & we had time to kill. There were $1 off coupons if you bought 2 with the MARS candy bags so that’s mainly what I stocked up on. I love baking with Valentine’s Day candies. I swear they taste better in pink and white, but maybe they just look better? 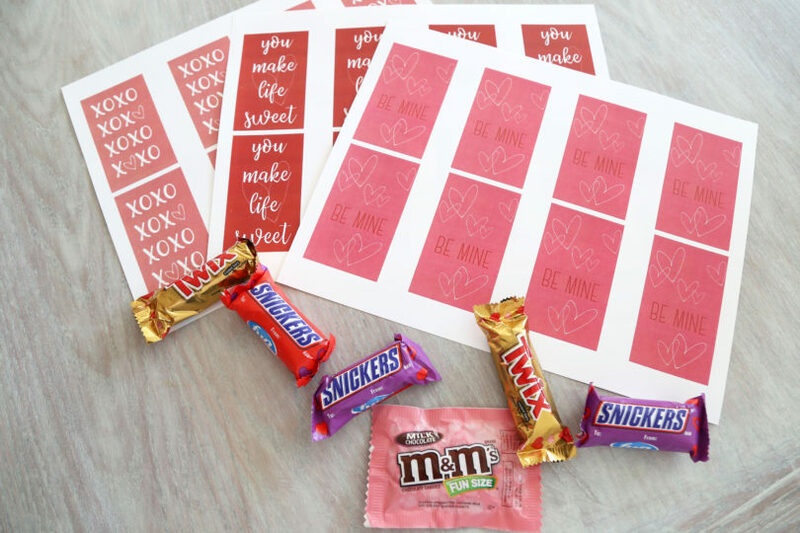 I grabbed a few extra bags for myself hoping to make little gift bags for some of my girlfriends & hi, Twix, Snickers, and M&M’s all in one pack?! My favorite candies couldn’t be passed up. 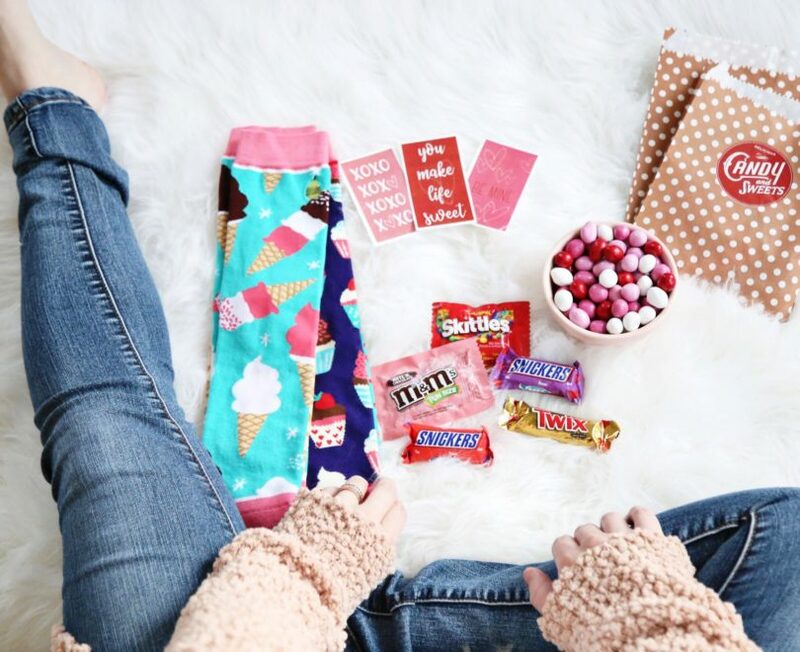 Grab some cute candy bags, a pair of cozy socks, your favorite candies, & a darling Valentines Day printable! Make it simple. I’ve got some really sweet friends in my neighborhood and just want to give them a little something that lets them know I sure love & appreciate them. From the carpool rides, the dinners, the playdates, and the phone calls, we have been spoiled this year since welcoming our baby. 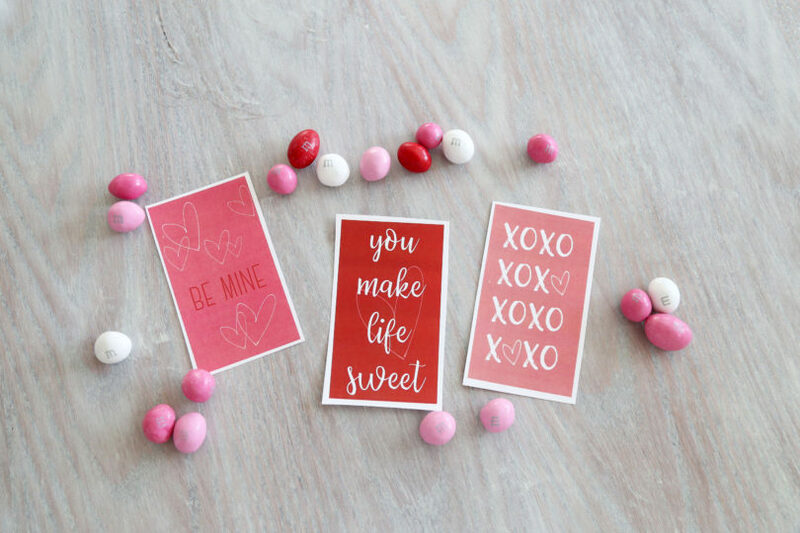 Grab all 3 Valentines Day printable options & print them out for your friends! Celebrating Valentine’s Day with my kids, hubs, and friends is definitely a highlight for me. I don’t know if it’s because of my crazy sweet tooth or because it’s a holiday of love & there are so many people that I just adore. 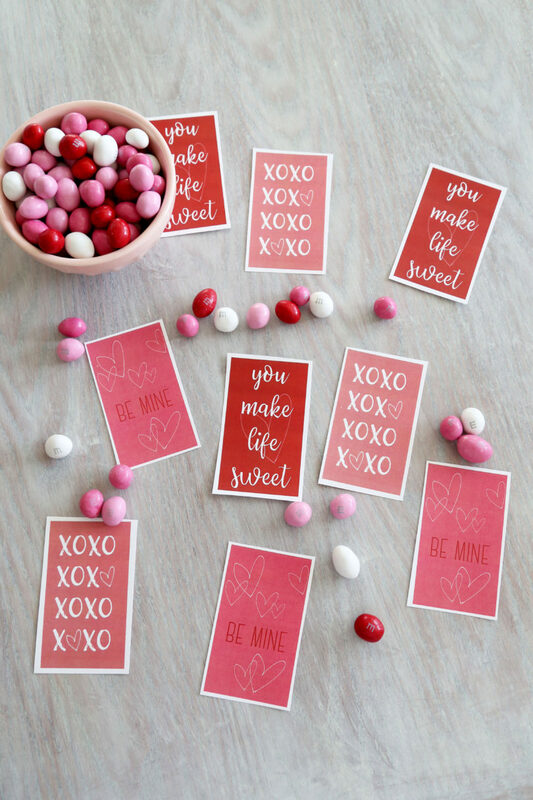 Hope you enjoy these Valentine’s Day printables! You can even print them out larger and put them in a frame. It’d be a cute decoration piece!